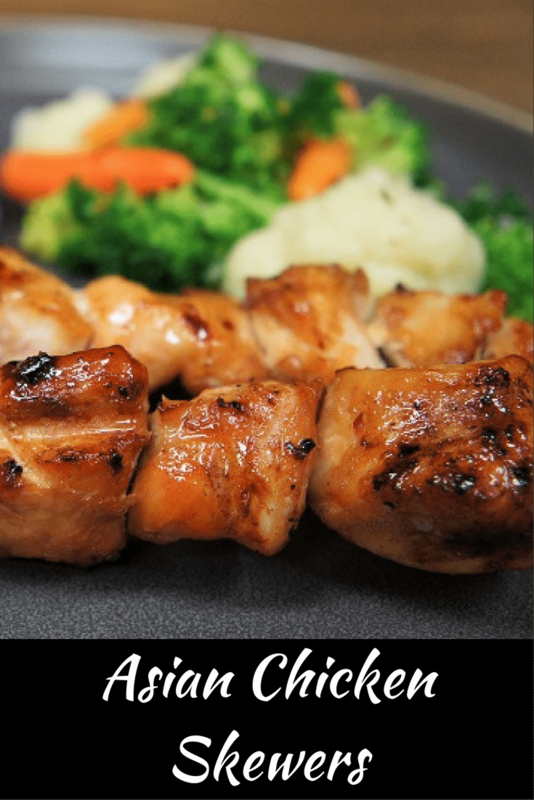 These Asian chicken skewers are super easy and quick to make. 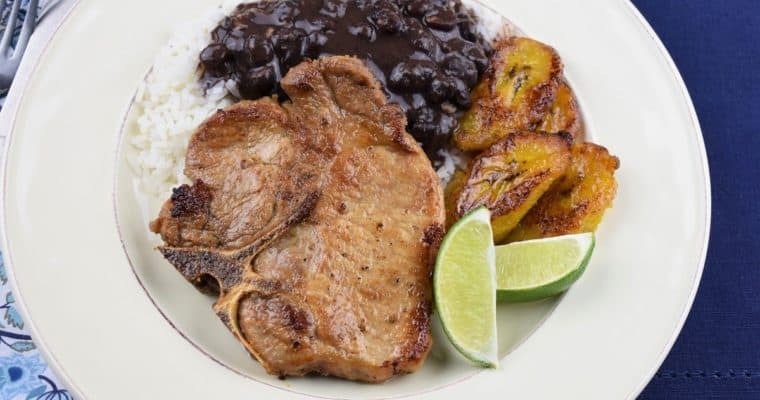 Serve them with a side of white rice and steamed veggies and you’ll have a delicious, wholesome weeknight dinner in no time. The chicken is marinated in an Asian inspired sauce for an hour or two, then grilled. The result is a flavorful chicken with a beautiful golden color. 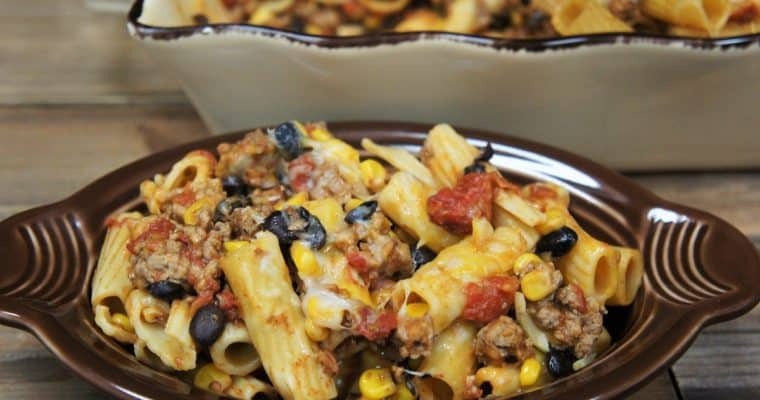 This is a satisfying meal your family will love, and you’ll be out of the kitchen in no time. For more easy dinner ideas, try this citrus shrimp salad or this grilled chicken Asian salad. Enjoy! Add all of the ingredients (except the chicken) to a bowl, stir to combine well and to dissolve the sugar. Place the chicken breast pieces in a large, re-sealable plastic bag. Add the marinade to the chicken, remove most of the air from the bag and seal tight. Make sure the bag is properly sealed and place the bag in a pan or on a plate, just in case it leaks (yes it has happened to me). Marinate the chicken in the refrigerator for at least one hour. Turn the bag occasionally to distribute to marinade well. About half an hour to an hour prior to grilling, soak the bamboo skewers in enough water so that they’re completely submerged. Skewer the chicken pieces and discard the leftover marinade. Grill the chicken skewers over moderate to moderate-low heat, turning occasionally until browned on all sides and cooked through; ensure the internal temperature of the chicken is at least 165°F at the thickest part. This should take about 15-20 minutes, but grilling time will vary. Make sure to remove the chicken from the grill when it’s up to temperature, and a nice golden color on the outside. 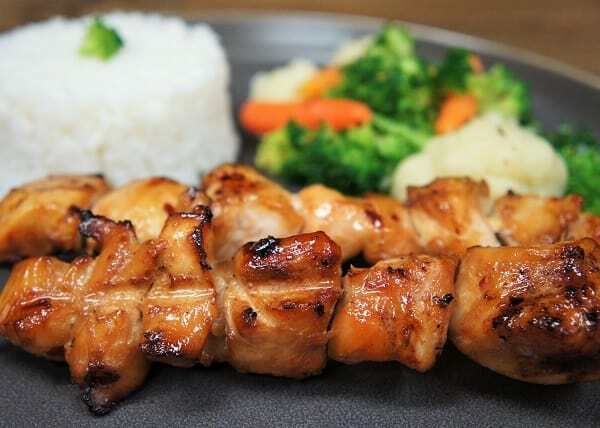 Serve the Asian chicken skewers with white rice and steamed vegetables, if desired. Add all of the ingredients (except the chicken) to a bowl, stir to combine well and to dissolve the sugar. Place the chicken breast pieces in a large, re-sealable plastic bag. Add the marinade to the chicken, remove most of the air from the bag and seal tight. About half an hour to an hour prior to grilling, soak the bamboo skewers in enough water so that they’re completely submerged. Skewer the chicken pieces. Discard the leftover marinade. 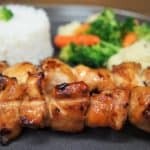 Grill the chicken skewers over moderate to moderate-low heat, turning occasionally until browned on all sides and cooked through (about 15-20 minutes) ensure the internal temperature of the chicken is at least 165°F at the thickest part.